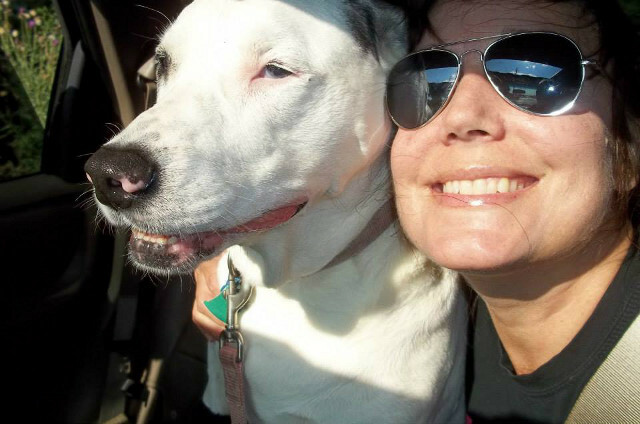 “While documenting Nola’s journey with cancer and holistic medicine, I gathered information that can now guide you through every stage of your dog’s cancer. After completing hundreds of hours of research and taking a great team of veterinarians’ advice, I have created an economical, cancer-fighting and immune-building protocol, for any canine (or human!) fighting cancer. I explain how cancer works in the body and how to create a cancer-killing environment with, wait for it…FOOD! How you treat the body will affect the outcome —this thought should empower you! Although we were able to turn a “three-months-to-live” diagnosis into a year of great quality of life for our girl, I believe we could have prolonged her life even longer if we had started with the protocol with which we ended – shared in My Dog Has Cancer. What Can I Do? Nola had a fast-spreading, incurable cancer, osteosarcoma, which would not wait for me to catch up on my research. My mission is to save you time, so you can start fighting cancer immediately. The intent is not to persuade you to do exactly as we did; I also share our mistakes and changes I would consider, if faced with the same circumstances again. Heather was kind enough to point readers to groups like Tripawds, and she is even donating a portion of sales to animal welfare organizations, including the Tripawds Foundation. Thanks Heather! NOTE from Tripawds: This information is not intended to replace professional veterinary advice. 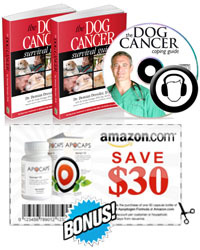 All cancer treatment therapies should first be approved by your veterinarian. Please share this medicinal mushrooms information with your vet and encourage them to contact K9 Medicinals with any questions they have. Sounds like a wonderful way to get an edge on fighting this horrific disease! It gives hope and it gives us empowerment. Nola’s legacy is an inspiration for those who are just starting this journey. PS…Is there a link to Nola’s journey on Tripawds?